I am a big fan of oatmeal. 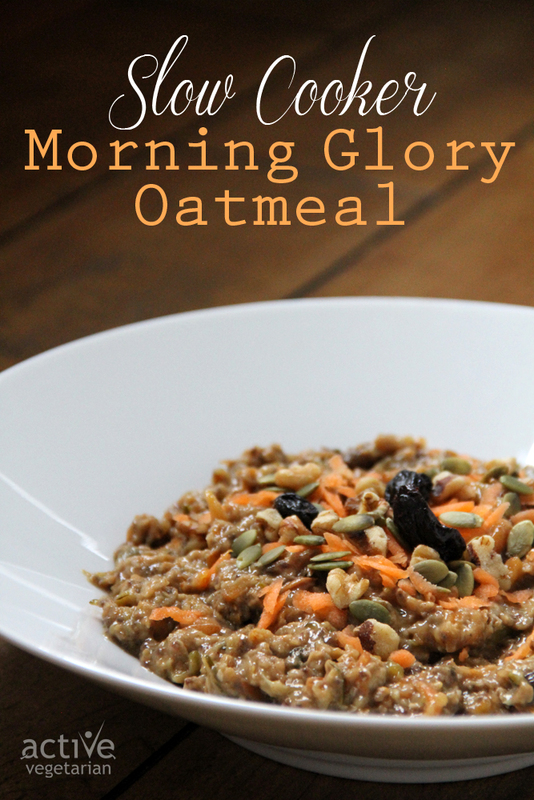 I can eat it anytime – breakfast to get me going, in the afternoon to refuel after a tough workout and even as a comforting dinner! One of my nutritional rules I follow is to sneak a serving (or two) of veggies into each of my meals. 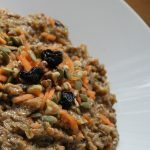 So to satisfy both my needs I came up with this veggie packed slow cooker oatmeal recipe. Set on "low" and cook overnight for 6-8 hours. Serve with drizzle of maple syrup or honey and hemp hearts, seeds or toasted nuts if desired. I cooked mine on low setting for 6 hours and it turn out great. If you plan on cooking it overnight, set your slowcooker on warm and you can leave it there for 8 hours. If you like this recipe you will love our Plant Based Lunches Cookbook. You can get your FREE cope Here.